Use of Nickel for as an alloying element in certain applications such as cryogenic gas storage and transportation is critical in providing a high level of ductility and an excellent resistance to cracking. Studies of a range of low carbon steels show that nickel gives variable advantages depending on the tempering/quenching conditions which results in a range of effects on each of the test material microstructures. Materials dedicated for the storage & transportation of natural gas at cryogenic temperatures should have high ductility and resistance to cracking. For economic reasons, a high strength steel grade is required in order to reduce the section thicknesses and hence the weight of steel sections when building cryogenic storage tanks. 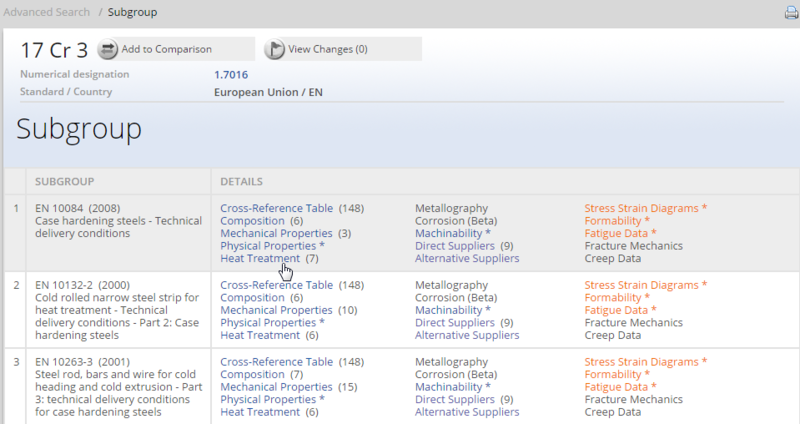 In the work of Demygin N. E. et al is presented the results of an investigation of the influence of nickel on the structure, brittle fracture resistance, and fractographic features of type ON3, ON6, and ON9 low-carbon steels (Table 1). 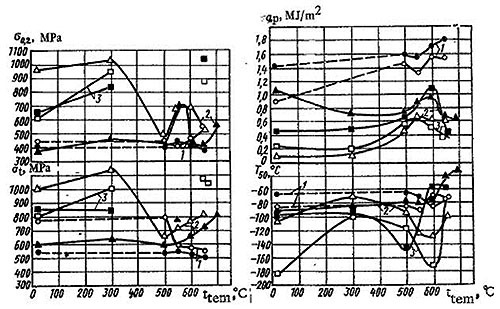 Figure 1 shows the influence of tempering temperature on σt and σo.2 of the investigated steels water quenched and air cooled after austenitizing. 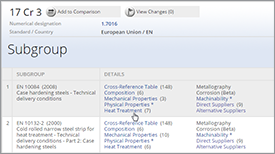 As a result of the analysis of these relationships for ON3 and ON6 steels it was established that the tempering temperature influences the strength properties of ON6 steel to a greater degree. After tempering at 300°C some increase in σo.2 is observed for the ON6 water quenched and air cooled while for ON9 steel it is more significant. 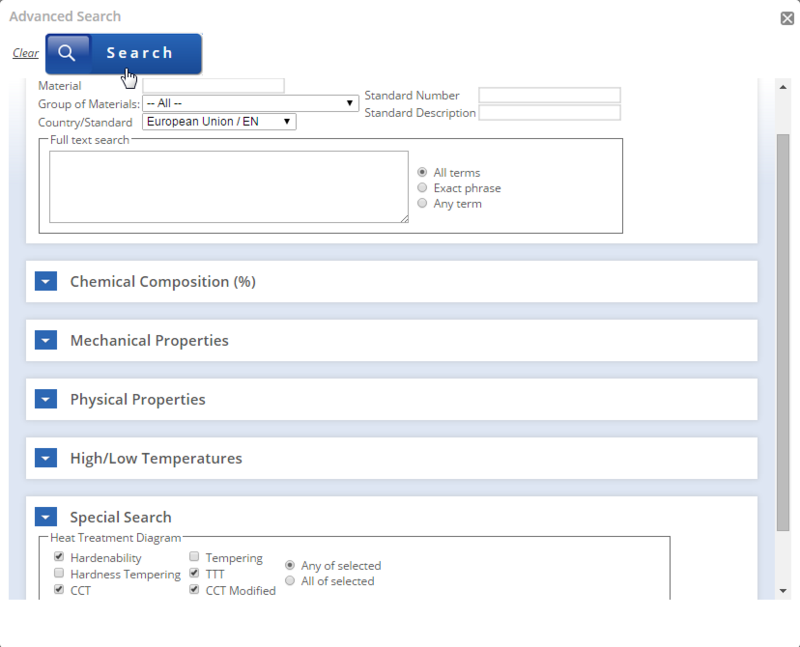 In the 500-650°C tempering temperature range there is practically no change in σo.2 of ON3 steel. For the ON6 steel both water quenched and air cooled, tempering at 550°C corresponds to a clearly expressed maximum in the strength properties. 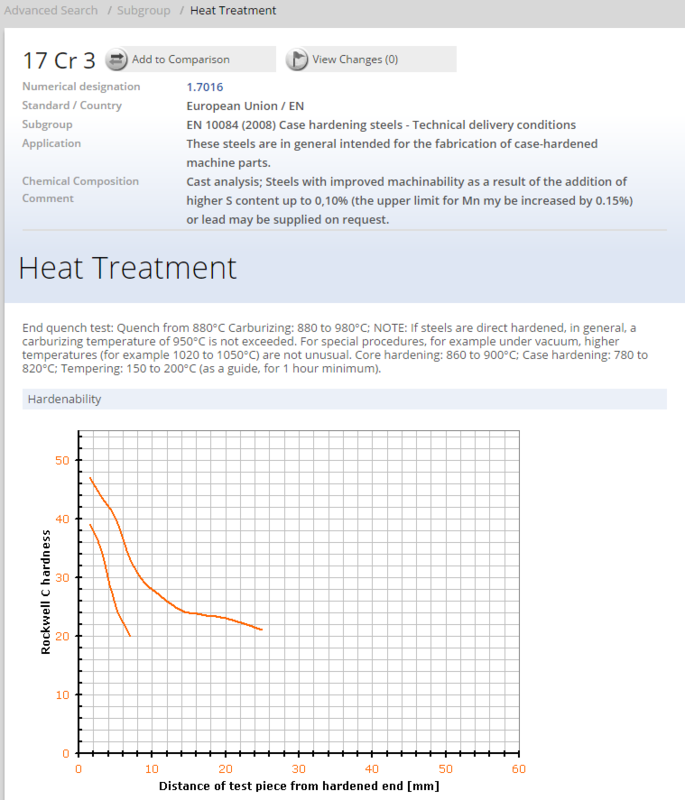 After tempering at 600 and 650°C there is a significant reduction in these properties in comparison with tempering at 550°C. Figure 1: Relationship of the strength properties (σt, σo.2) and fracture resistance (αp, T50) of ON3 (1), ON6 (2), and ON9 (3) steels water quenched (white symbols) and air cooled (black symbols) after austenitizing to tempering temperature. 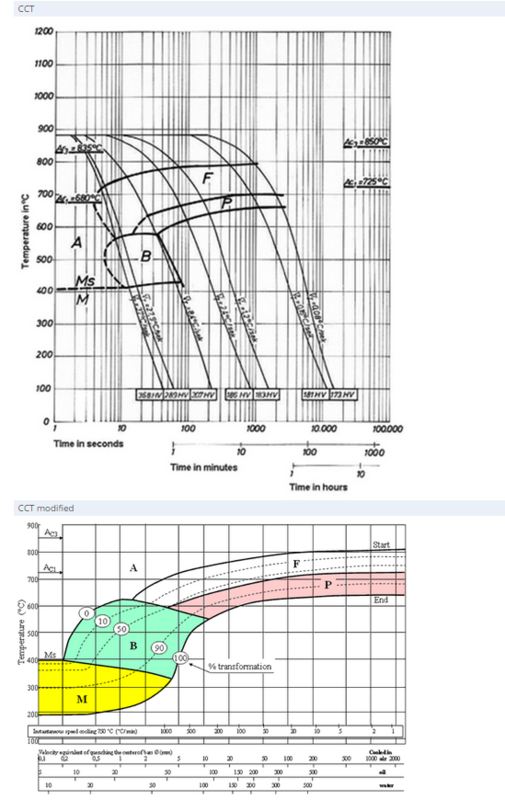 The tempering temperature has a significant influence on the 50% ductile-to-brittle transition temperature T50 of the water-quenched and air-cooled nickel steels (Figure 1). As the result of the increase in nickel content, T50 of ON6 and ON9 steels after tempering at 300-600°C increases. The increase in T50 of ON6 and ON9 steels having a structure of lath martensite (Figure 2a) after tempering at temperatures of up to 300°C is probably related to the development of irreversible temper brittleness. As follows from the results in Figure 1, the most significant increase in the cold resistance of low-carbon steel (with the use of tempering at temperatures providing the minimum level of T50) may be obtained with the addition of 6.4 and 9.1% Ni. 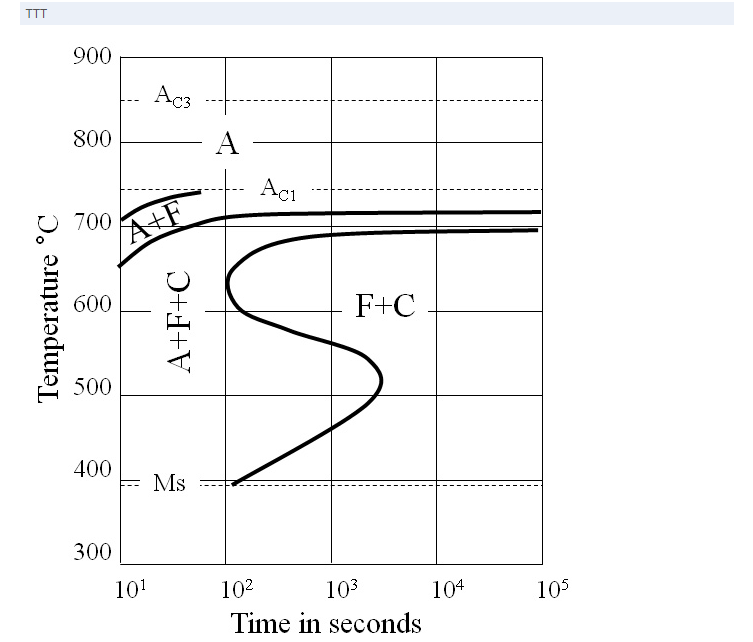 An increase in the tempering temperature of plates of these steels water quenched and air cooled is accompanied by an unsteady change in the specific work for propagation of a ductile crack αp (Figure 1). The value of αp was determined by the Newhouse method. 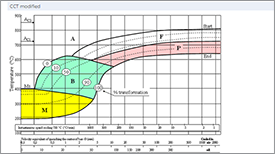 The maximum resistance to propagation of a ductile crack αp corresponds to the tempering temperature range of 600-650°C for ON3 steel and 550-600°C for ON6 and ON9 steels. It should be noted that for all of the investigated steels and tempering temperatures, αp of the steel air cooled after austenitizing is higher than that of the water-quenched steel. 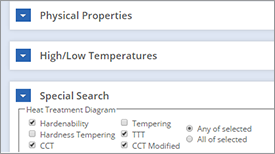 The minimum values of T50 and the maximum value of a αp for ON3, ON6, and ON9 steels are observed at temperatures somewhat below the range of the α→γ transformation (500-600°C). An increase in the tempering temperature to 650-700°C causes the appearance in the steel of a significant quantity of secondary austenite and leads to an increase in T50. It may be assumed that such austenite is unstable and in cooling to lower temperatures transforms to martensite. 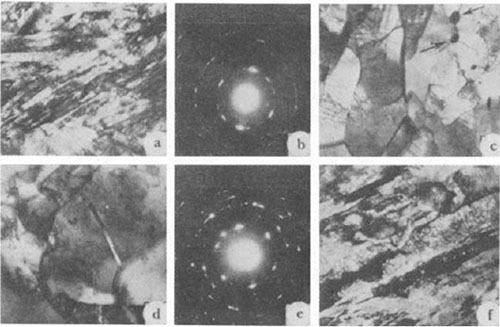 Figure 2: Microstructure and diffractograms of ON6 (a-e) and ON9 (f) steels : a, b) water quenched after austenitizing; c) the same + tempered at 600°C; d-f) air cooled after austenitizing ; a) 12,000x; c) 20,000x; d, f) 16,000x. During electron microscopic investigations it was established that after air quenching ON3 steel has a mixed ferritic-martensitic structure and ON6 and ON9 steels a lath martensite structure (Figure 2a). The dislocation density within the laths reaches 1010 -1011 cm2. The laths are grouped in packets. 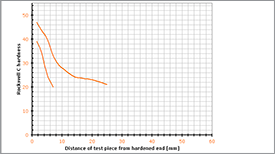 In diffraction analysis the austenite phase was not observed in the structure of the ON6 steel. The authors concluded that an increase in nickel content from 3.4 to 9.1% leads to an increase in the tendency of low-carbon steel toward the formation of lath martensite and in the volume share of residual (primary) austenite. 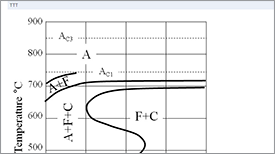 After water quenching, the structure of ON3 steel is ferritic--martensitic and of ON6 and ON9 steels martensitic, while after air cooling a ferritic structure is formed in ON3 and ON6 steels and a ferritic-martensitic structure can be observed in ON9 steel.